The Antigua-based software company SlySoft has shut down its website and ceased sales of the popular Blu-ray ripping software AnyDVD. The action comes several days after a group of Hollywood studios and technology partners asked the U.S. Government to intervene. Earlier this month AACS LA, the decryption licensing outfit founded by a group of movie studios and technology partners including Warner Bros, Disney, Microsoft and Intel, reminded the U.S. Government about the unauthorized activities of SlySoft. 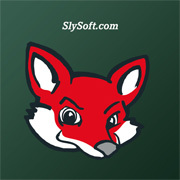 SlySoft is known for selling various copyright protection circumvention tools including the popular AnyDVD software, of which it sold tens of thousands of copies over the years. In 2014 AACS-LA won a court case against the software manufacturer in Antigua, where a local court found SlySoft owner Giancarla Bettini guilty of six charges under the 2003 Copyright Act and ordered him to pay a fine of $5,000 per offense. Failure to pay would result in six months in jail for each offense. However, despite the win for AACS not much changed. SlySoft’s owner immediately filed an appeal which effectively put the convictions on hold. Meanwhile, AnyDVD remained widely available. This changed yesterday when the site suddenly went blank as the domain’s main nameservers were removed. Initially it was unclear what triggered the downtime, but a few hours ago SlySoft put up a brief statement confirming an early Myce report that legal problems are the cause. “Due to recent regulatory requirements we have had to cease all activities relating to SlySoft Inc. We wish to thank our loyal customers/clients for their patronage over the years,” the message of the site’s homepage reads. While there’s no confirmation on the exact reason for the sudden shutdown, it’s not unlikely that AACS-LA’s pressure to the United States Trade Representative had a significant impact. In its request the licensing company asks the Government to place Antigua on its copyright Priority Watch List, effectively escalating it into an “international incident”. “Circumvention through programs such as SlySoft’s AnyDVD HD is a source for widespread, large-scale and commercial copyright infringement by users located in the United States, as well as Antigua & Barbuda, and many other countries,” AACS wrote (pdf). With or without an intervention from the U.S. Government, it’s clear that after more than a decade the legal pressure became too much for SlySoft and its owner. Whether the software will remain offline indefinitely or if it will perhaps reappear under a new label has yet to be seen.